I currently have 4 pieces of art in a group show at the Seymour Art Gallery in North Vancouver (Deep Cove), for the Seymour Art Festival. This is kind of a new thing for me; I don’t usually show my work. The pieces I included are not children’s illustration exactly, but our show is themed on faery tales, reinterpreted from the artists’ point of view. Some of the pieces are delightfully dark – as original faery tales often are – and others are whimsical. 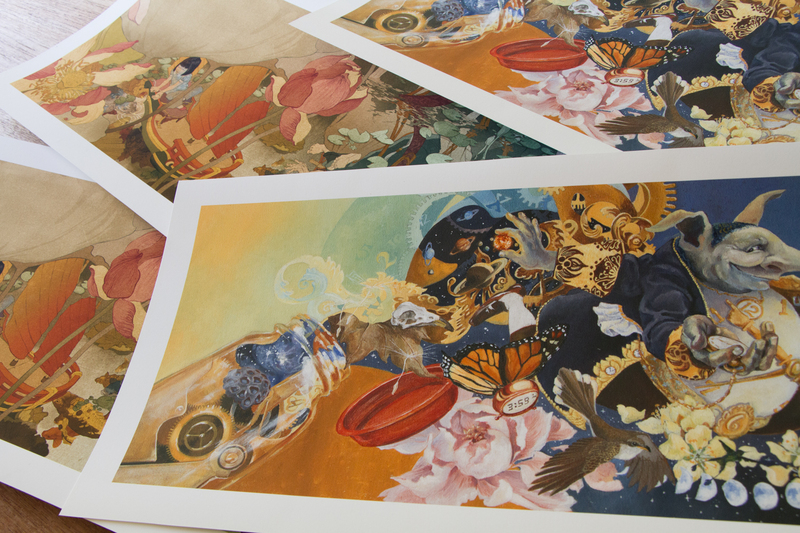 My co-exhibiting artists are Rachael Ashe, Cynthia Nugent (who is also a children’s book illustrator) and Robi Smith. Our show slot is from June 7-12th. The opening was last night and it went really well. On the final day, June 12th from 1-4pm, there are a few things for kids (a face painter and a puppet show). As well, the artists will talk about the work, and Cynthia will hopefully demonstrate some of the moving parts in her assemblages like she did at the opening last night. Deep Cove is a beautiful place to spend and afternoon, and there is a great doughnut shop across the street from the gallery, so drop by and hope for sun! The festival continues until July 3rd with new exhibitions each week by more artists. 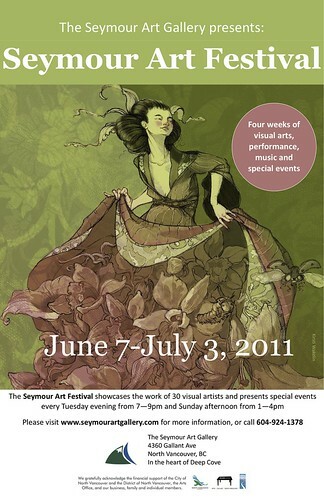 More details in the Seymour Art Festival brochure: (download the pdf). Rachael Ashe posted a few photos she took on Monday, before the exhibit was hung.